Gandhinagar, Gujarat’s new capital city, rises on the west bank of the Sabarmati river, about 32 kms. 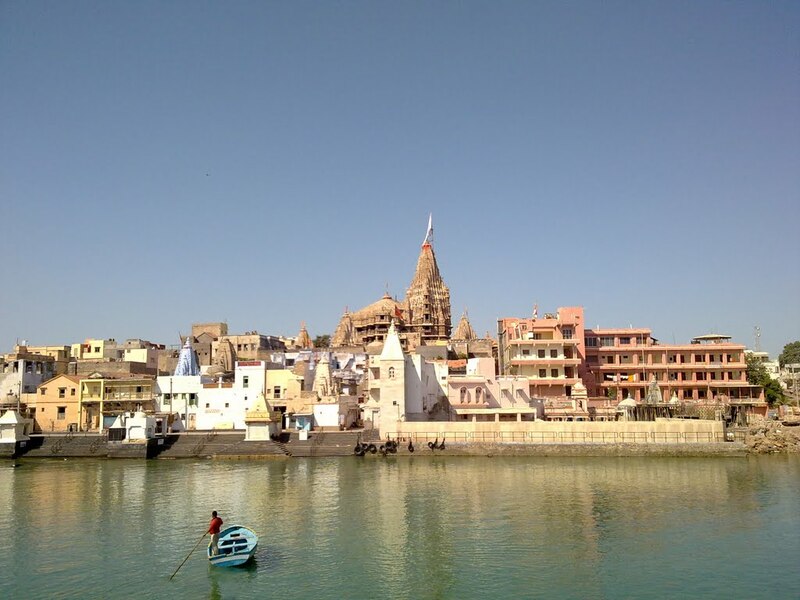 north east of Ahmedabad, the commercial and cultural heart of Gujarat. Gandhinagar presents the spacious, well-organized look of an architecturally integrated city. Around the Central Government compels, stretch 30 sectors into which the city has been divided. 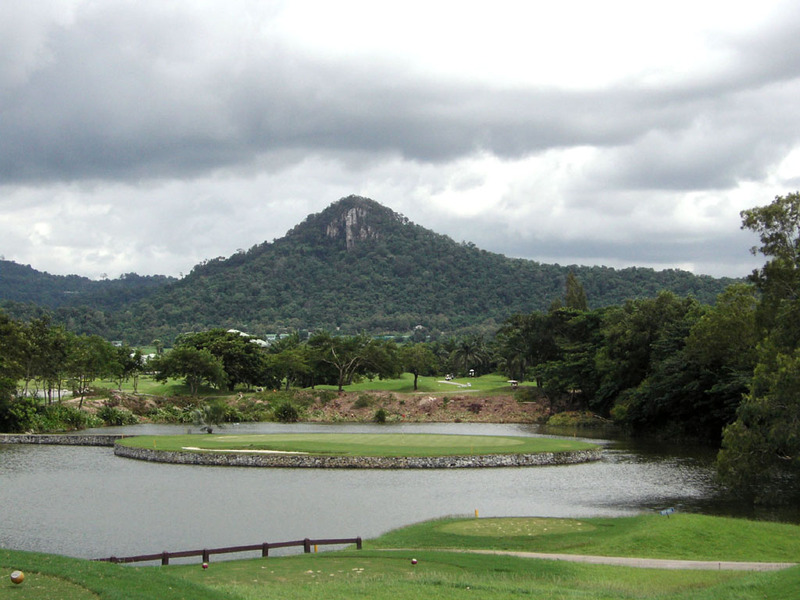 Each sector has its own shopping and community center, primary school, health center, Government and private housing. 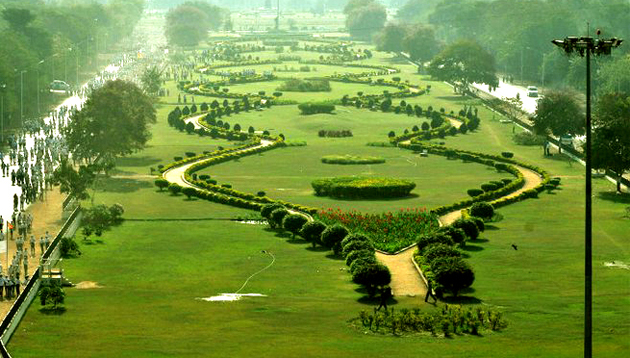 Apart from which there is a generous provision for wide open green parks, extensive planting and a large recreational area along the river giving the city a lush green garden-city atmosphere. Gandhinagar, named after the father of the Nation is the new capital city, It is the second planned city in India after Chandigarh and presents a spacious, well-organized look of an architecturally integrated city. 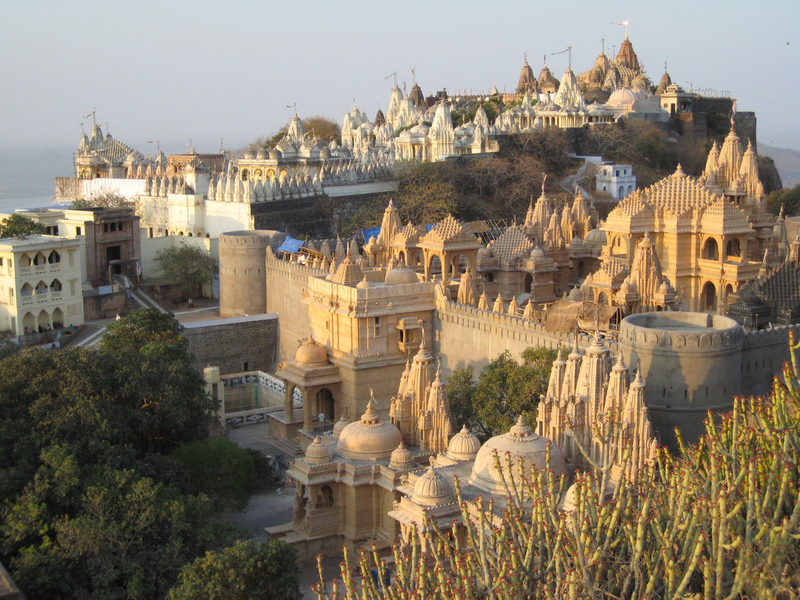 The famous Swaminarayan temple of is built here. There was, however, tremendous political pressure to make Gandhinagar a purely Indian enterprise, partly because the state of Gujarat was the birthplace of Mahatma Gandhi. Kalia illumines Kahn’s early influence in the city and his replacement by Doshi and then by American-trained H. K. Mewada, who had apprenticed with Le Corbusier in Chandigarh. Kalia shows that, unlike the other two cities, Gandhinagar would become emblematic of Gandhian ideals of swadeshi (indigenous) goods and swaraj (self-rule). How to Reach Gandhi Nagar? By Rail: Nearest Railway Stations are Gandhi agar and Ahmedabad and are connected with all the major cities in western parts of India. By Road: State transport buses connects various centers of Gujarat. It is. North east of Ahmedabad. Shopping in Gandhinagar: Gandhi Nagar Seen as one of the major travel destinations in India, Gandhinagar is rich in its history and traditions. 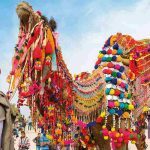 Owing to these historical and traditional linkages, when it comes to art and craft, Gandhinagar has to offer a great deal. Shopping in Gandhinagar is incomplete without the purchase of Khadi clothing. The use of the indigenously manufactured fabric was popularized by Mahatma Gandhi as a form of protest against exorbitant prices charged by the British for their cotton manufactures. The material is used in all forms of clothing. 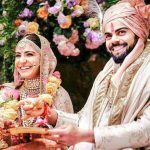 Such clothes can be bought from the Markets in Gandhinagar. These clothes are ideal for the Indian summers. Thus Shopping in Gandhinagar is a delightful experience in itself which is no less than an attraction by itself. The city of Gandhinagar located on the holy banks of the Sabarmati River, is easily accessible from various parts of Gujarat. Gandhi Ashram: The Gandhi Ashram Ahmedabad is situated on the banks of the Sabarmati River. It used to the nerve center for the Indian Freedom movement. During the lifetime of Mahatma Gandhi, the Gandhi Ashram In Ahmedabad India was known as Satyagraha Ashram and is now, one of the most significant monuments in Ahmedabad. years stay in Ahmedabad. His first ashram was set up atGandhi Nagar Kochrab near Paldi of the present day Ahmedabad, which was a bungalow of his barrister friend Jivanlal Desai. However, this place had to be abandoned after two years in the wake of a plague epidemic. To begin with, a few dwelling units were built and gradually the Gandhi Ashram Ahmedabad started humming with activities. The units were simple in style in celebration of the minimalistic style propagated by Gandhi. They were devoid of any extravaganza but were very functional. At the ashram one can see the Vanatshala where Gandhiji first stayed. At this place handlooms were installed. One can also see but later on moved to `Hridaykunj’, so named by Kakasaheb Kalelker as it was the pulse of the Ashram. This Spartan accommodation was to witness Gandhiji’s journey from Mohandas to Mahatma the Father of the Nation. 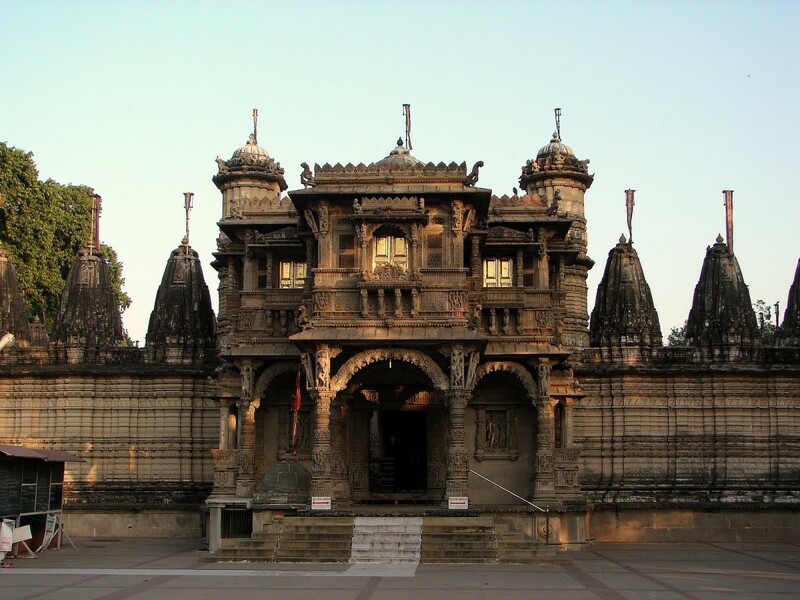 Hanumanji Temple, Gandhinagar is a famous Tourist Attraction in Gandhinagar and a Holy Place in Gandhinagar in Gujarat. 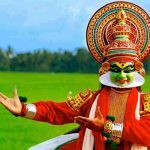 Lord Hanuman is considered as one of the most important character who bears the highest moral as per the spiritual belief in India. Hanuman acquired fame by providing invaluable service to Lord Rama. Lord Hanuman is regarded as an archetype of devotion, loyalty, sacrifice and bravery. 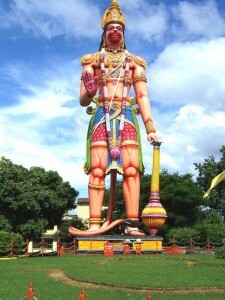 Lord Hanuman is worshipped all through the country with great respect and zeal. Hanumanji Temple in Gandhinagar is visited by thousands of devotee everyday. The idol of Lord Hanuman in the Hanumanji Temple of Gandhinagar is seen bearing a mountain on his shoulder. 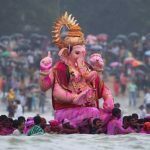 The idol is saffron in color. 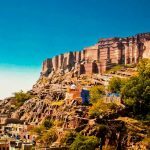 As per the Indian mythologies and tradition it is said that regular visitors to the temple gains special favor of Lord Hanuman. The temple is visited by thousands of visitors every Tuesday and Saturday. As per the Vedas, Hanuman protects human Gandhi Nagarbeings from the wrath of the planet Saturn. People as per the astrology if has the position of Saturn ill placed in their horoscope should specially visit the Hanumanji Temple. 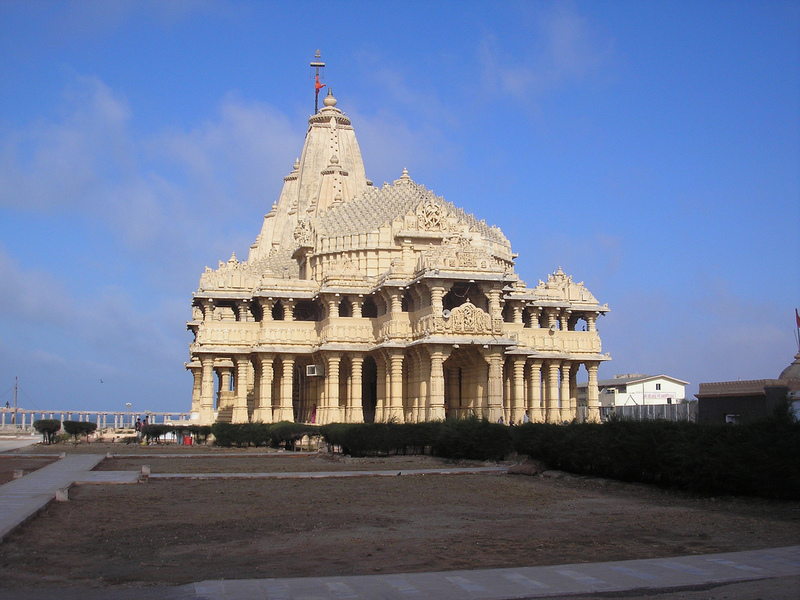 Hanumanji temple at Gandhinagar in Gujarat in India is situated at a convenient location. It can be easily reached by any local modes of transport. The Hanumanji Temple, Gandhinagar is well connected to every parts of the city. 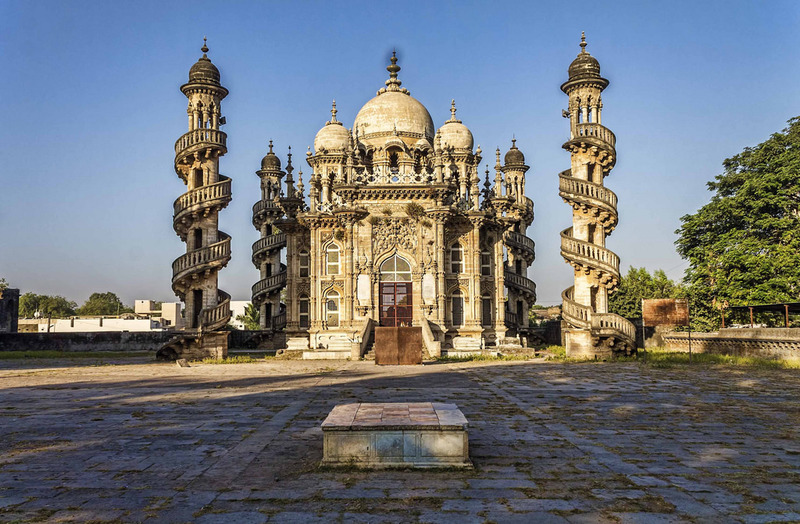 Gandhinagar in Gujarat is a famous city and is visited by the large number of tourists every year for the interesting tourists spot situated there. 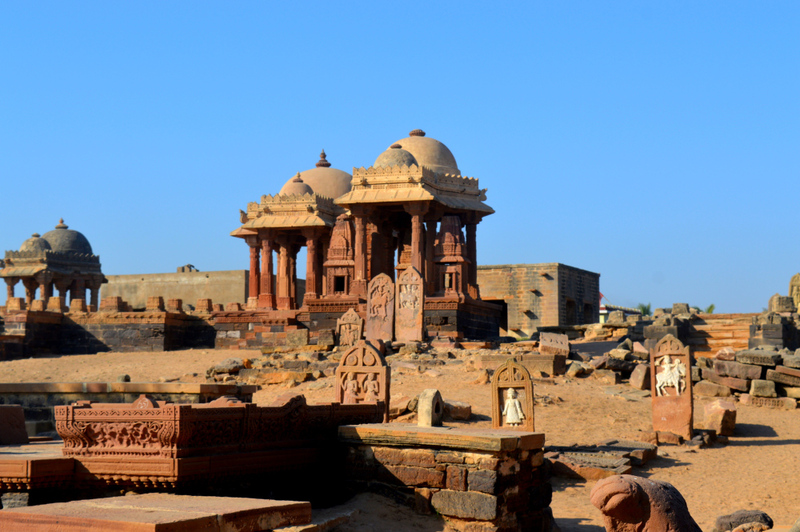 Gandhinagar has a lot to offer to the tourists visiting the city with its rich history and culture. Gandhinagar has a prominent identity in the history and political arena of the country because of the fact that Mahatma Gandhi lived here during his life time. Gandhinagar can be easily reached by trains and buses from any parts of Gujarat and can be reached by train from any parts of India. 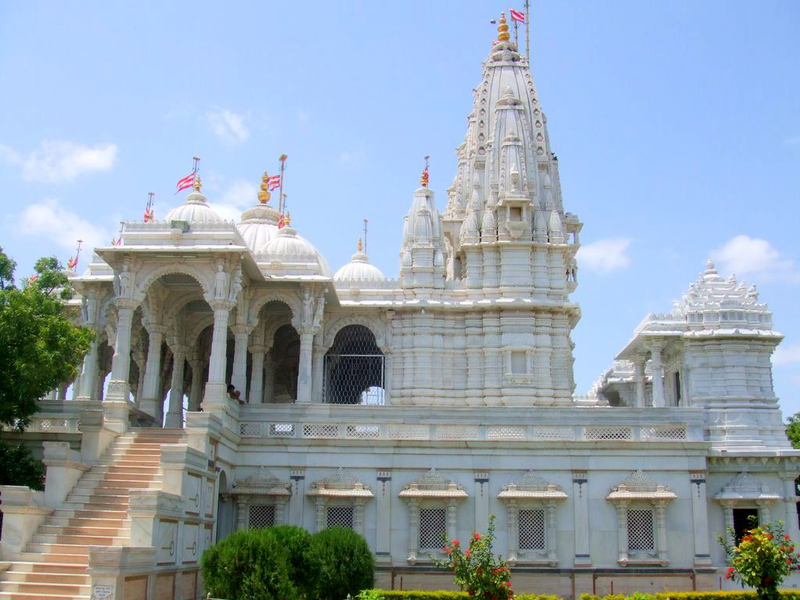 Swaminarayan Temple in Gandhinagar is situated at a distance of two kilometers from the heart of the city. 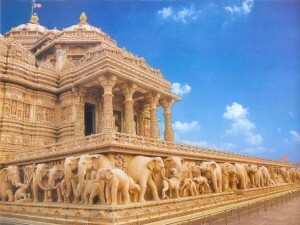 The Swaminarayan Temple at Gandhinagar in Gujarat in India is famous as the Akshardham Swaminarayan Temple. 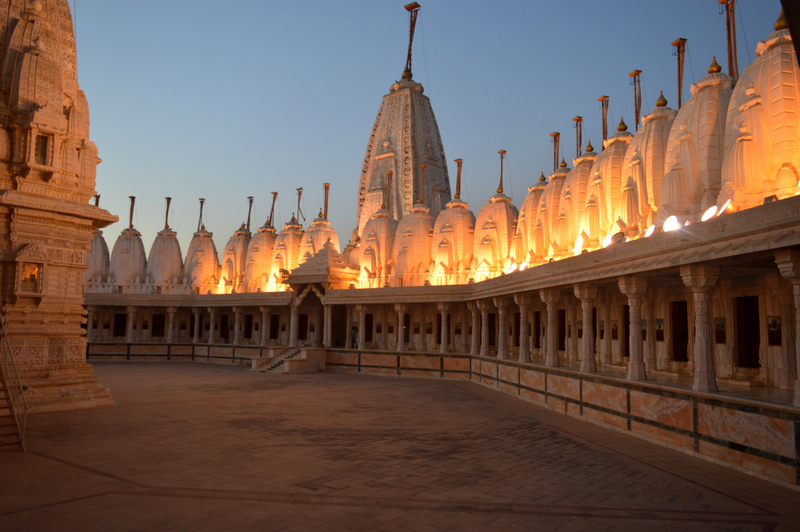 The Swaminarayan Temple has been set by the BAPS as the Bochasanwasi Akshar Purushottam Swaminarayan Sanstha is known. BAPS is an organization which operates by the Swaminarayan faith. BAPS as an organization was established in the year 1907 by Shastriji Maharaj. 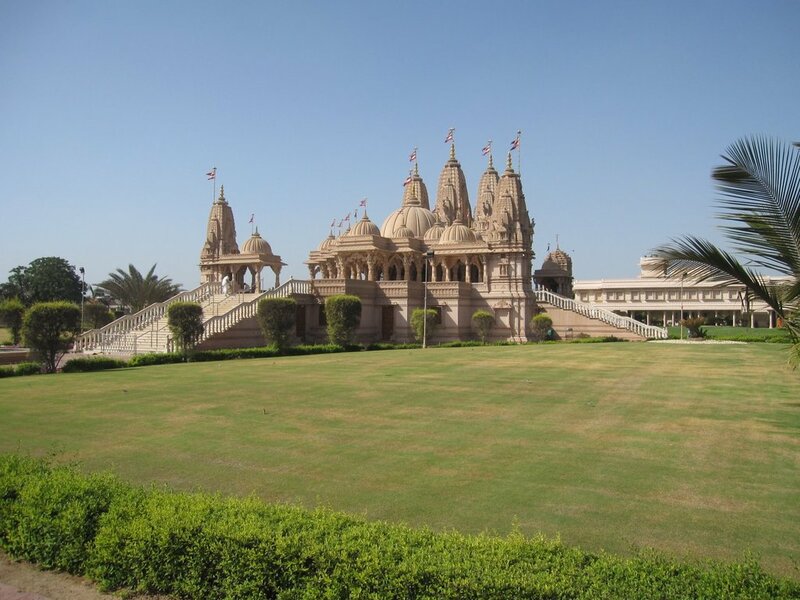 The Swaminarayan Temple at Gandhinagar in Gujarat in India is dedicated to Lord Swaminarayan. The temple is a beautiful edifice made out of pink stone. The temple is fully made up of stone. 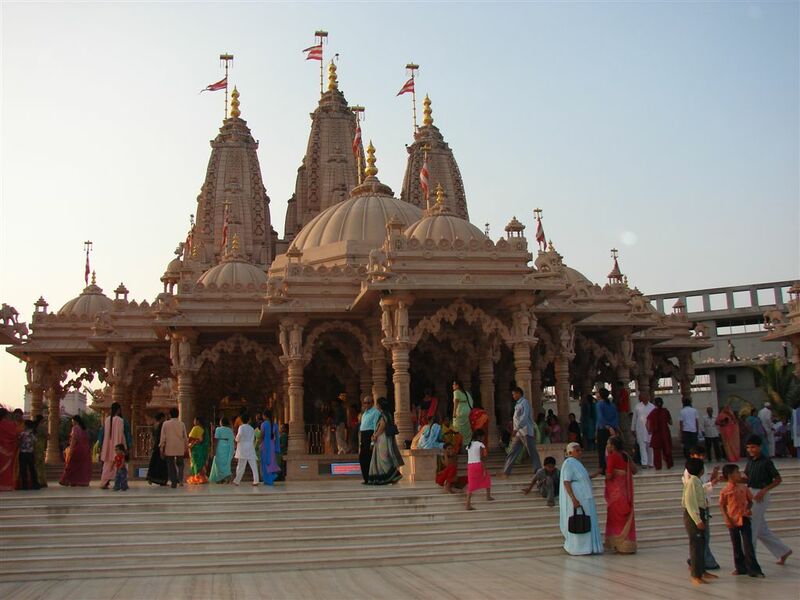 The Swaminarayan temple was opened to the public in the year 1992 and thousands of tourists flock in everyday to visit the temple. In the central hall of the temple, the idol of Lord Swaminarayan is set. The idol is fully covered with a gold leaf. The central hall also has idols of the successors of Lord Swaminarayan. These idols are marble idol and add beauty to the hall ambience. The temple looks grand with 100 pillars which are beautifully sculptured, the balconies are beautifully decorated, there is a podium and seventeen domes. There are two hundred windows in the whole edifice. 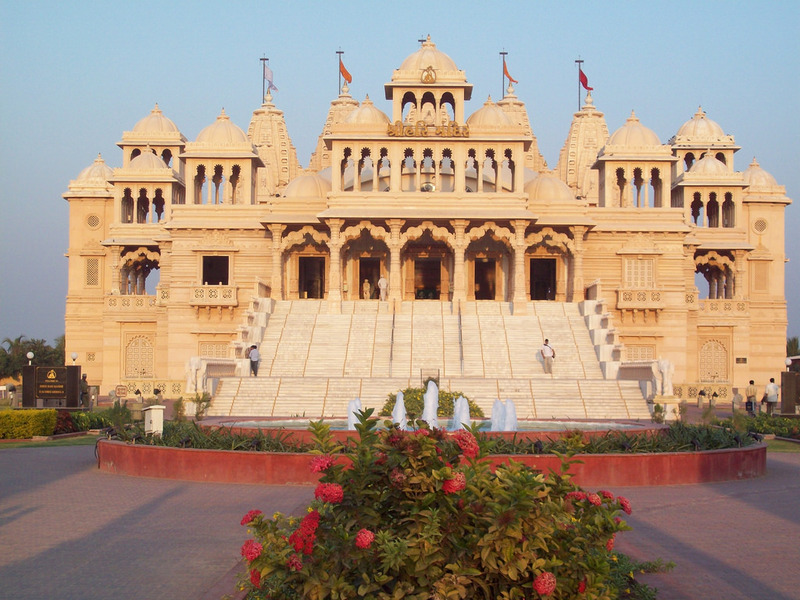 The Swaminarayan temple of Gandhinagar is a major Tourist Attraction in Gandhinagar. 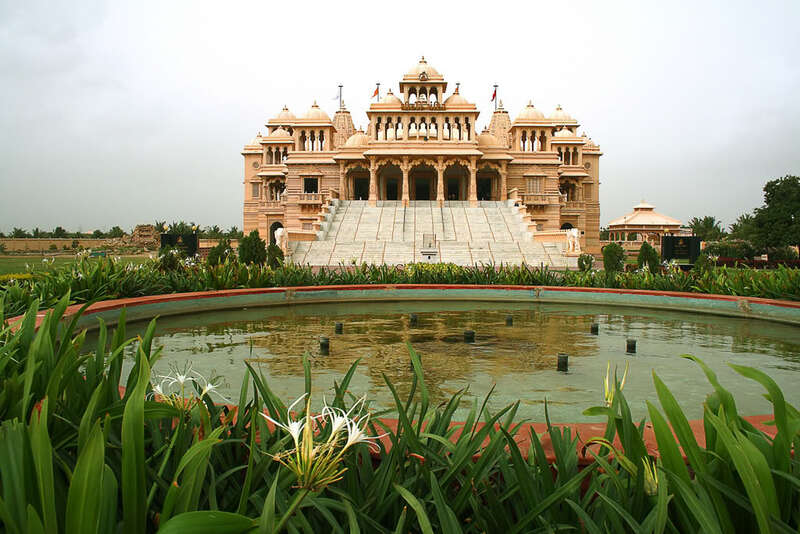 People who come on a Tour to Gandhinagar must visit the Swaminarayan Temple in Gandhinagar in Gujarat in India. The temple is famous for its spirituality and the humanitarian deed that it offers to the people all over the world. The act of doing such a commendable social service gives it a higher recognition that just a temple. 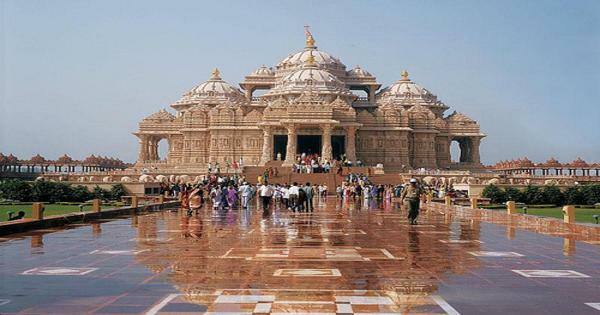 People with a spiritual bent of mind should make it a point to visit this temple while on Gandhinagar tour.